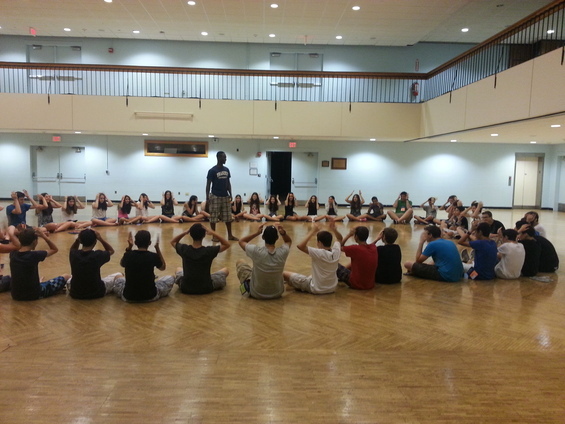 At BIMA and Genesis, intentional pluralism is woven into every aspect of our summer program. From our participants, to our interns, to our community educators and faculty members, the challenge and reward of living in a pluralistic community is one of the most profound aspects of being part of Genesis and BIMA. Over the last decade I’ve found myself in each of these different roles (participant, intern, community educator and now faculty), and now, looking back, I can see how critical pluralism is to the experiences that I have had in each of these roles. This is my eighth summer at Genesis, and the 10th anniversary of the first time I stepped foot on the Brandeis campus in 2003. I attended Orthodox day school for 12 years, but more than anything it has been my experiences at Genesis that have changed the trajectory of my life. During my summers at Brandeis University I have been shown the power of a genuine Jewish experience, a collaborative Jewish community, and the lasting effects of Jewish education. It was at Genesis that I learned what it meant to be Jewish outside my Modern Orthodox bubble and how to push myself to grow and explore Jewishly. All of that is a credit to the immersive pluralistic community created over four weeks here each summer. And while many aspects of the program have changed since 2003, the pluralistic core continues to pervade all corners of this program that I love. As a participant, the pluralistic nature of the program was evident from the moment I stepped into my dorm room in Massel quad. My roommate was from a different corner of the world and practiced Judaism very differently from the way I did. One of the first conversations we had was about turning lights on and off on Shabbat. This summer, Genesis and BIMA include participants from Russia, Germany, Latvia, Israel, the United States, Canada, Brazil, Turkey, England and Spain. Indeed, it is more than likely that this summer’s participants will be sharing a room with someone who not only practices Judaism differently than they do, but speaks a different language as well! Beyond residential life, pluralism is felt most on Shabbat. Participants explore the question of “What does it mean to celebrate Shabbat in a diverse community?” Through planning meals and rituals to various learning options to She’arim to sichot (conversations*), participants have endless opportunities to encounter one another, learn from each other, and reflect back on themselves and their own practices. The variety of “required options” (they have the option to choose what to participate in, but participation itself is required) for She’arim provide opportunities both for participants to do something familiar and to expand their comfort zones by trying something new. The Shabbat She’arim, run by participants and educators, provide an insight into the scope of options available: Carlebach-style tri-chitza minyan, shared silence, singing niggunim, learner’s minyan and Shabbat jam, art share, meditation, and more. As an intern and a community educator, what I valued most was sitting at a table with a diverse group of colleagues. One summer, my fellow community educators included a recent graduate of the Pardes educators’ program, a rabbinical student from JTS and one from HUC, someone who had recently spent time at a yeshiva in Bat Ayin, and me, a recent graduate from Brandeis concurrently studying in the M.A.T. program at Brandeis. In recent years we’ve had rabbinical students and educators from HUC, JTS, AJU, YU, YCT, Maharat, Machon Hadar, Pardes, Brandeis, Columbia, and NYU. Sitting around the table with such diverse and talented individuals has allowed me to push myself as an educator. I’ve been exposed to individuals coming from a wide range of backgrounds, who bring with them their particular educational experiences and expertise. Planning programming for diverse participants allowed me to push myself as a Jew—to model for participants what it means to actively engage in an ever-evolving Jewish journey. One summer I read Torah for an Egalitarian minyan and attended a musical Kabbalat Shabbat for the first time, modeling for participants my belief that, as an Orthodox woman, it is possible to navigate the waters of a halakhically observant lifestyle while still experiencing others’ Jewish practices. This summer is my first summer on faculty. As a member of the faculty, I am no longer directly responsible for the creation of the pluralistic community, which is co-created by participants and community educators. I am, however, still able to witness the creation of this special community and take advantage of it. Since the courses are much more content-focused than other aspects of the program (which tend to be more process oriented) it might seem natural to assume that the classroom would be devoid of pluralism. But, in fact, I have found that pluralism is as present within the walls of the classroom as it is outside of them. The values of pluralism and respect that are emphasized in other areas of our programming rear their heads in our courses as well. Our courses are non-judgmental places where diverse opinions are valued and cherished. We know that inviting competing ideas into the classroom is what helps us learn, so we call on our range of experiences (of students, instructors and guest lecturers alike) to enrich our learning and growth. One of the Jewish education pieces at Genesis is called Expeditions. Expeditions are two-week experiences that explore a question related to Judaism or Jewish identity. Participants have the opportunity to explore one topic in depth, as well as to engage in some sort of project related to the topic. This summer, one of the expeditions, “Pluralism Uncovered,” decided to explore the concept of Jewish pluralism in the context of our 2013 summer community. Participants researched pluralism at BIMA and Genesis and asked questions such as: Is Jewish pluralism possible in a four-week summer program such as Genesis and BIMA? What are the obstacles to achieving pluralism and how can we overcome them? Where else has Jewish pluralism succeeded, and what can we learn from these examples? The participants finished their expedition by sharing their findings with the director of BIMA and Genesis and the director of the Office of High School Programs at Brandeis, and by making recommendations on how we can strengthen the experience of pluralism even further. We look forward to trying out their suggestions (more community building early on in the program, more opportunities for sichot) in the coming months. At Genesis, pluralism isn’t just something we talk about. It is something that we live…as participants, interns, community educators and faculty. And we are richer for it! *In preparing for sichot, staff intentionally pair up participants with others who they may not yet have connected with. Sichot are a gift of time, where participants can engage in conversation without the limits of time or content.